A recently-published survey of construction contractors has both good and bad news. The survey found that many contractors make safety a specific requirement when they outsource to subcontractors. But it also found that many construction contractors don’t bother to have a pre-work meeting to remind employees of the need for safety. The survey included close to 100 construction contractors, including members of Associated General Contractors chapters in Georgia and other states. More than three-fourths of the contractors said that they conducted a pre-job analysis to stringently monitor safety precautions at every step of a project. This is encouraging in an industry that is typically regarded as among the most dangerous in the country. An equal number also make safety a priority in employee performance evaluations. However, 80 percent of the contractors said they did not discuss specific safety issues during meetings with workers every day before work begins. This is an ideal time of the day to stress precautions to avoid workplace accidents, such as the correct use of personal protection gear and measures to avoid injuries from cranes, forklifts and other industrial equipment. 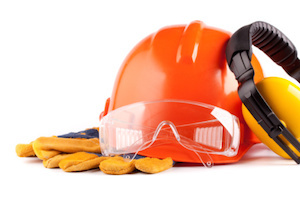 The survey confirms the role of construction contractors in establishing a top-notch safety culture in the workplace and the need for contractors to improve their compliance with safety rules.